A newly-released poll by Remington Research Group suggests Governor Andrew Cuomo's re-election chances are in good shape among Democratic voters ahead of the party's New York State Primary. Lieutenant Governor Kathy Hochul, however, is in an apparent tighter race against a New York City Councilman. However, many including Hochul are pointing out that the survey was commissioned by a former longtime aide of her former election rival. The study polled more than 2,000 likely Democratic voters April 7 and 8. The results suggest Governor Cuomo's overall favorability is at 59 percent. Twenty percent expressed an unfavorable opinion while the remainder expressed no opinion. Cuomo's challenger, Cynthia Nixon, drew mixed numbers with a 26 percent favorable rating, 30 unfavorable rating and 44 percent expressing no opinion. 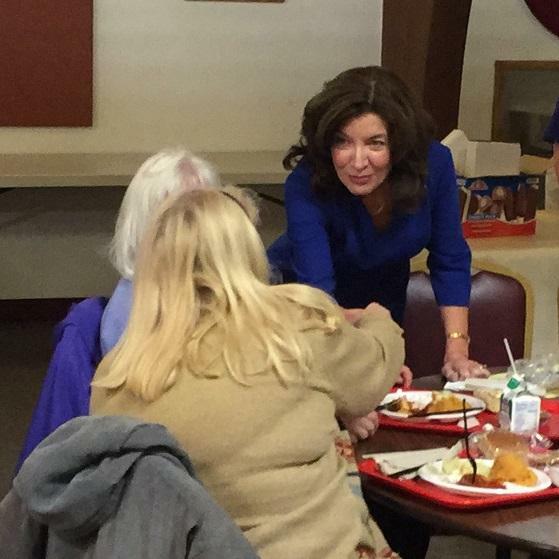 Lieutenant Governor Kathy Hochul shakes hands with constituents during a visit to Cheektowaga Wednesday. The survey also indicates that if the election were to be held the day of the survey, Cuomo would defeat Nixon by about 40 percentage points. Hochul, meanwhile, is in an apparent close race and drew slightly larger unfavorable numbers. Seventeen percent expressed a favorable opinion, while 20 percent offered an unfavorable reply. Her challenger, Jumaane Williams, drew a 21 percent favorable rating and a 14 percent unfavorable rating. When asked whom they would choose if the election were held that day, Hochul edged Williams by three percentage points. Some are questioning the objectivity of the survey. It was commissioned by Big Dog Strategies, a political consulting firm led by Chris Grant, a former longtime aide to Chris Collins. Grant was directly involved in Collins' defeat of Hochul in the 2012 race for the 27th Congressional District. "I think it's important to make sure that the whole concept of fake news is tampered down and legitimate news organizations don't even give it the light of day," Hochul said when asked about the poll. Grant was asked how he would reply to those suggesting the numbers might be a veiled political attack or vendetta. "I don't think it's any surprise that, you know, Kathy Hochul and I are political opponents. 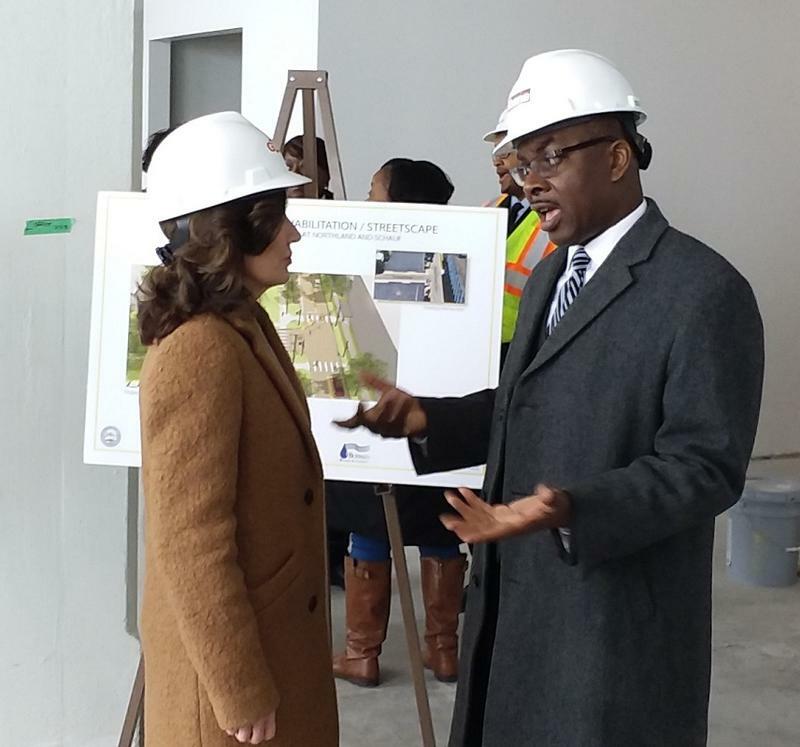 It would be interesting to see what Kathy Hochul said about the governor's numbers," he said. Hochul's favorable rating remains high in Buffalo (75 percent) and in Rochester (60 percent) but wanes as one goes east. When broken down by ethnicity, at least 60 percent in every category (White, African-American, Hispanic, Other) expressed "no opinion." Twenty-seven percent of African-Americans, though, expressed an unfavorable opinion. By contrast, 38 percent of African-American respondents gave Williams a favorable rating. Governor Cuomo scored 70 percent favorable ratings among African-American voters. Hochul expressed no worries during a local appearance. "We're not obsessing over polls. We're not thinking about polls. We're out there governing," she said. 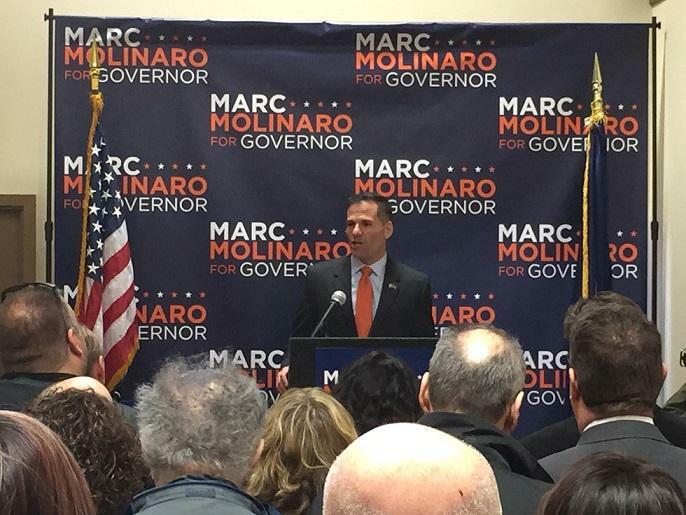 Lieutenant Governor Kathy Hochul offered a response to Republicans who, earlier this week, took aim at the Buffalo Billion during an appearance by gubernatorial candidate Marc Molinaro. Cynthia Nixon spent Thursday traveling the New York State Thruway from Syracuse to Rochester as part of her upstate campaign swing. In between stops, the actor and underdog candidate talked about how Hillary Clinton’s loss in the 2016 presidential race helped inspire her to run for governor and why she thinks Andrew Cuomo is not doing enough to help the state. Taking aim at the Governor Andrew Cuomo's demeanor in office and the scandals surrounding many of the incumbent's close associates, Marc Molinaro vowed to restore a sense of ethics and openness as he brought his gubernatorial campaign to the Erie County Republican Committee's downtown Buffalo headquarters Wednesday morning. In the days since actor and progressive activist Cynthia Nixon indicated she might want to run against Andrew Cuomo in a Democratic primary for governor, Cuomo has made a number of public appearances and taken several steps to shore up his political base.